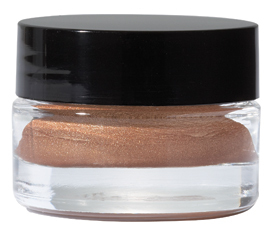 This incredibly soft and emollient creme is a shadow in it's own right but, is AMAZING as a primer. A tiny amount goes a long way, glides on smooth and dries into a beautiful finish. Advanced formula is waterproof, creaseless and long wearing. Apply with our #10 Camouflage Brush, then layer with any shadow you please for a look that lasts all day and night. A Rock Me staple, on our best selling list for almost 15 years. Wonder why your eye makeup looks like it disappeared and it's only lunch time? You aren't using a primer, or at least not a good one. 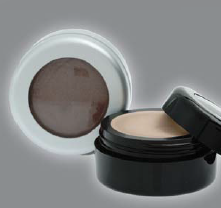 You need a base that goes on creamy but then dries into a powder. These shadows actually can be worn alone but they are our secret weapon for keeping eye shadow in place, preventing creasing and acting as a color shifter for your many eye shadow colors. These are sheer and lightweight.